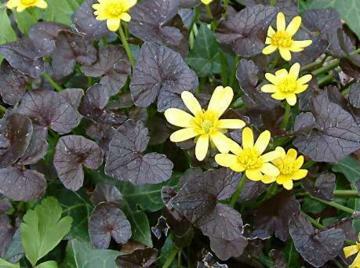 Glossy, very dark brownish-bronze leaves, strongly contrasting with the shining, golden yellow flowers. Very attractive. Rather slow to establish, taking some years to form a sizeable clump.